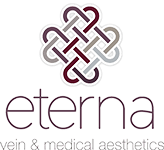 If stress, aging, and sun exposure have caused your skin to lose some of its natural glow, consider pampering your skin with a facial treatment at Eterna Vein & Medical Aesthetics premier aesthetic center in Puyallup, Washington. The expert aesthetics team offers a variety of custom facials to help soothe, repair, and restore the health of your skin. Call the office today or schedule an appointment for a facial treatment online. A facial treatment is designed to cleanse, firm, and moisturize your skin. During a facial, one of the skilled aestheticians at Eterna Vein & Medical Aesthetics will first analyze your skin and select products based on your skin type and goals. Your aesthetician then performs a deep cleansing followed by your selected treatment and applies nourishing masques and hydrating products, leaving your skin feeling refreshed and renewed, with a youthful glow. What are the benefits of a facial treatment? Facial treatments at Eterna are performed in a calm, soothing environment, allowing you to relax deeply. Your aesthetician will provide you with details about the treatments, so you can customize your facial to meet your skin goals. How often should I have a facial treatment? Monthly facial treatments are ideal for removing dead skin cells before they harden on the surface of the skin, but having a facial at least four times a year will significantly improve the look and feel of your skin. If you maintain a healthy at-home skin care regimen, the results of your treatment will be extended. Your aesthetician will recommend advanced skin care products to use at home to enhance your results. A facial treatment at Eterna Vein & Medical Aesthetics is not just a procedure, it’s the royal treatment you desire and deserve. To schedule a facial treatment, contact the office or book an appointment online.